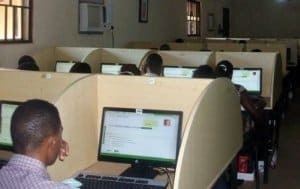 This is to inform all the candidates that registered for the 2019 Joint Admissions and Matriculation Board (JAMB) Unified Tertiary Matriculation Examination (UTME) that printing of the examination slip will start as from Thursday, April 4, 2019. 1. Go to JAMB UTME e-slip printing page at https://www.jamb.org.ng/ExamSlipPrinting/_PrintExaminationSlip. 2. Supply your JAMB Registration Number or Email address or Phone number in the appropriate column. 3. Finally, click on ‘Print Examination Slip‘ button to access your exam schedule.